Coventry City have signed West Brom defender Leon Barnett on loan until the end of January. 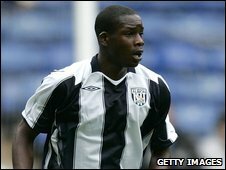 The 23-year-old has made 55 appearances for the Baggies since joining from Luton for £2.5m in July 2007. "We've made no secret of the fact that we have been looking to strengthen at the back," Coventry manager Chris Coleman told the club's website. "I am delighted to get Leon until the end of January and we believe he will do a very good job for us."